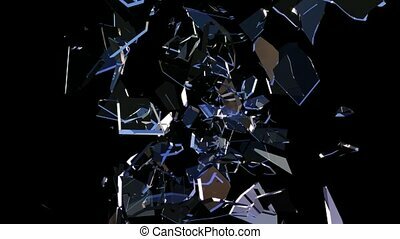 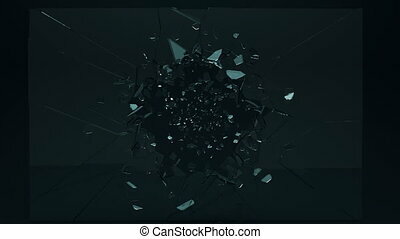 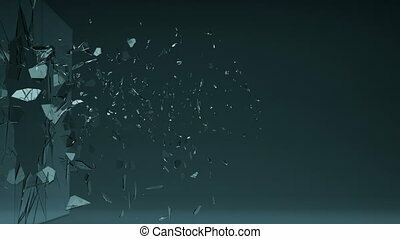 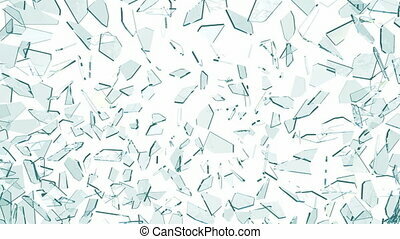 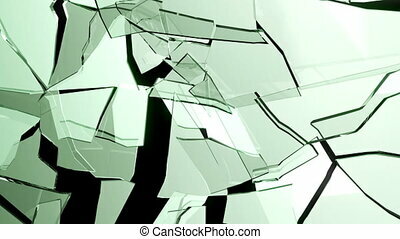 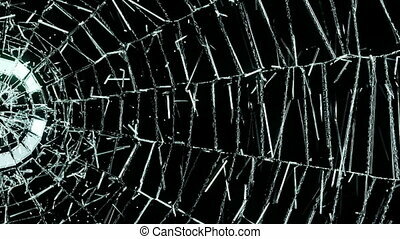 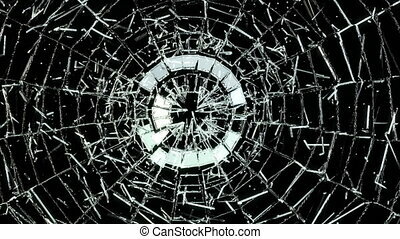 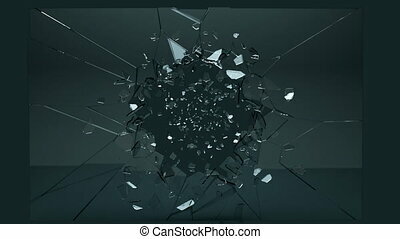 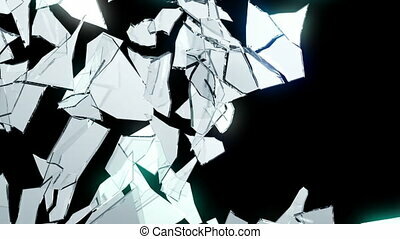 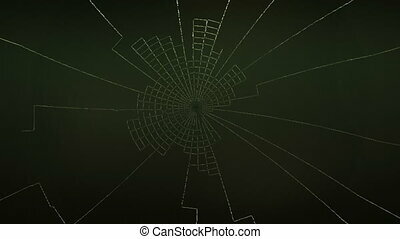 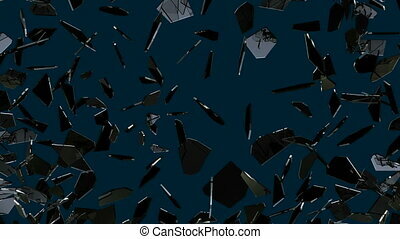 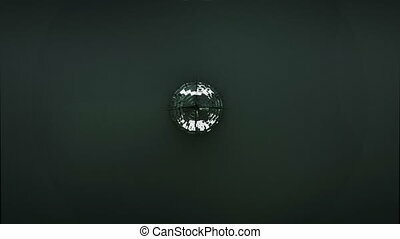 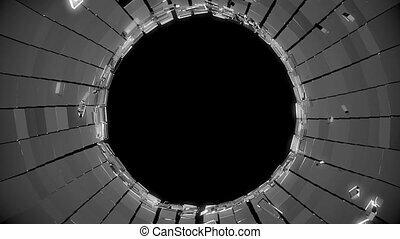 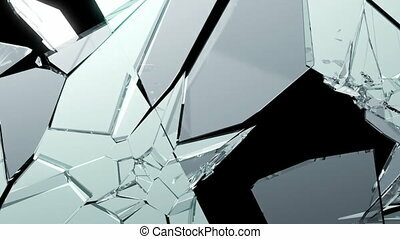 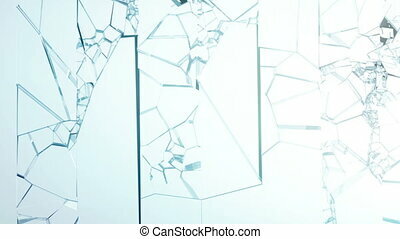 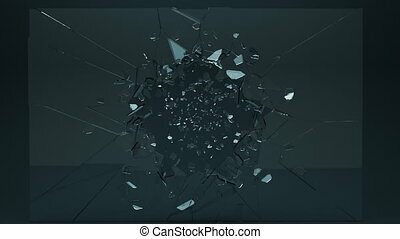 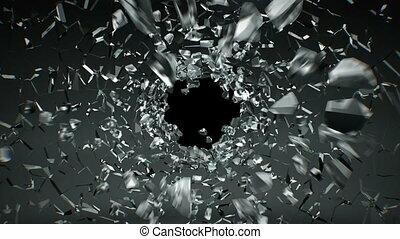 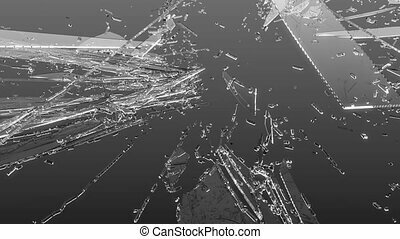 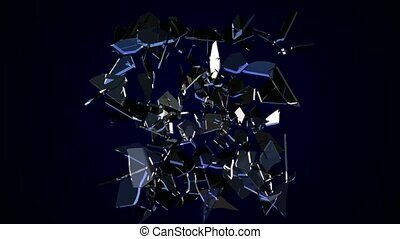 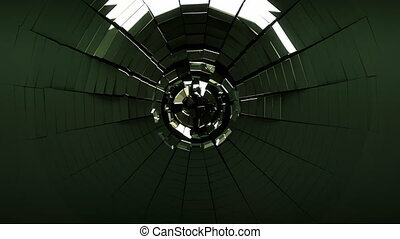 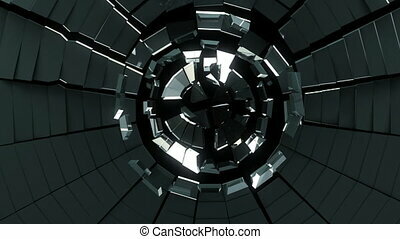 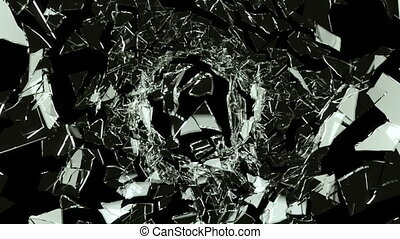 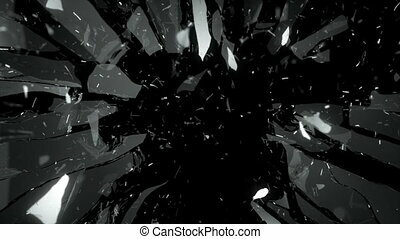 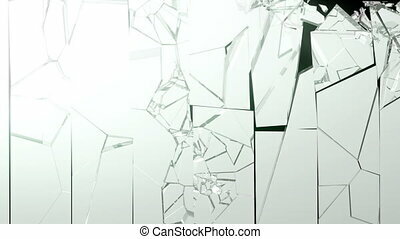 Cracked and shattered black glass with slow motion. 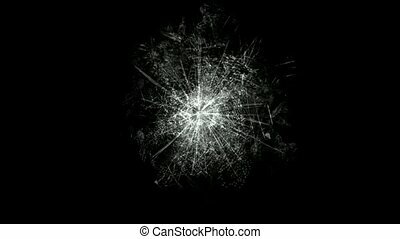 alpha is included. 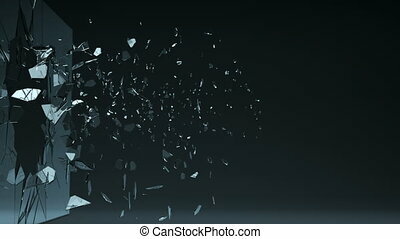 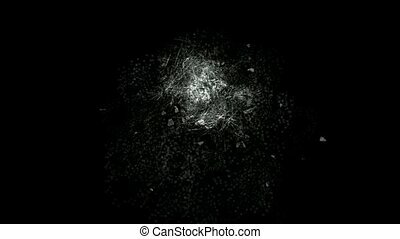 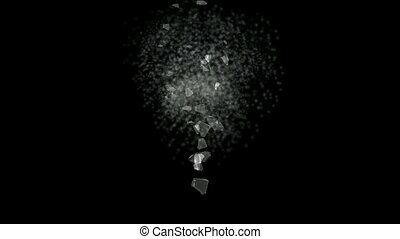 Shattered glass with slow motion with alpha.